We offer high quality Limestone Crazy to our valuable customers. These products are available at reasonable price and as per the specifications provided by our clients. Our product range also comprises of Sandstone Flags, Slate Flags and Limestone Flags. These products are widely appreciated for its unique features such as durability, endurance, heat resistance and varied weather resistance. We offer a wide range of high quality of Natural Limestone Tiles to our customers. These random limestone slabs are available in natural, honed, sawn, polished finish. These products are available in various shape and size that best suits the requirement of our clients. The commonly liked surface for limestone slabs are either natural split or polished finish. 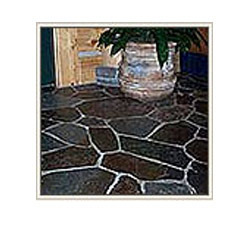 These products are widely used in paving and cladding of walls and flooring. We offer a wide range of very high quality of Black Limestone Crazy to our customers. These products are available at very affordable market price. 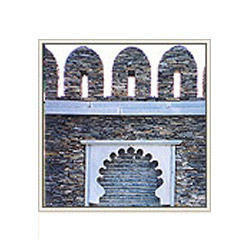 These products are widely used in paving and cladding of walls and flooring of various buildings. Our products are known for their durability, endurance, heat resistance and varied weather resistance. Looking for Limestone Crazy ?